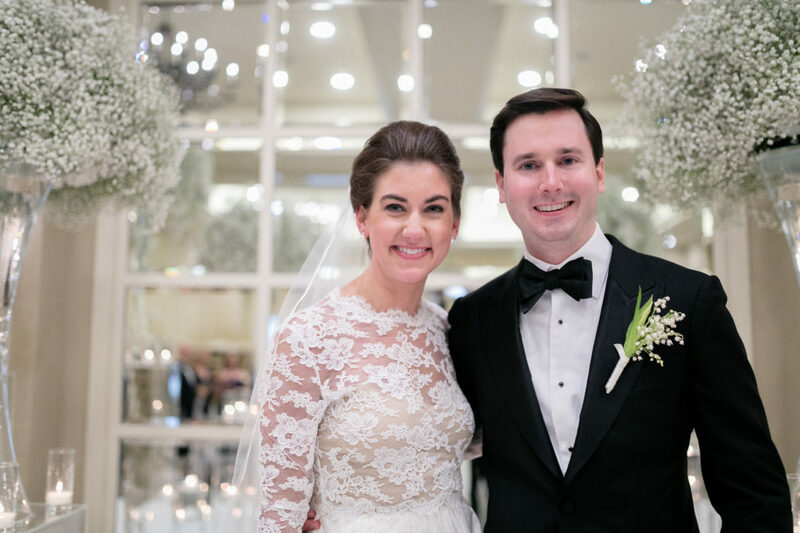 Typically meeting the parents is reserved for a few months into a relationship, but Margaret Wells and Brian Sone checked off that milestone on the first night they met. They were introduced on a Saturday afternoon in March while hanging out by the pool of her apartment complex with mutual friends. She thought he was so fun and hilarious that she asked him to be her date to a wedding shower that night. He hung out with their friends while she ran upstairs to get ready, then she took him by his house so he could shower and change. While waiting for him, she hung out with his parents. After that first date, they became friends and started officially dating the following year. About three years later, following a romantic dinner at Sevy’s, they were looking at Christmas lights in the gazebo at Goar Park to kill time before Brian’s holiday work party—or so she thought. 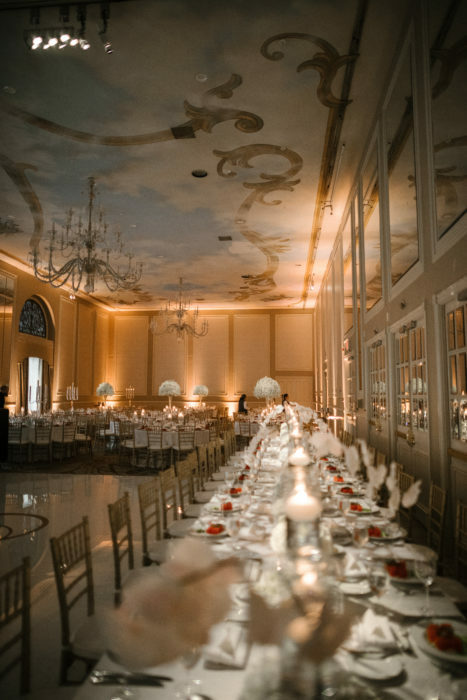 When it came to picking a venue, Margaret and Brian chose the Adolphus without any hesitation. The Dallas natives both grew up going to the hotel with their families; Margaret has memories of having tea with Santa and watching the Christmas parade there every year. 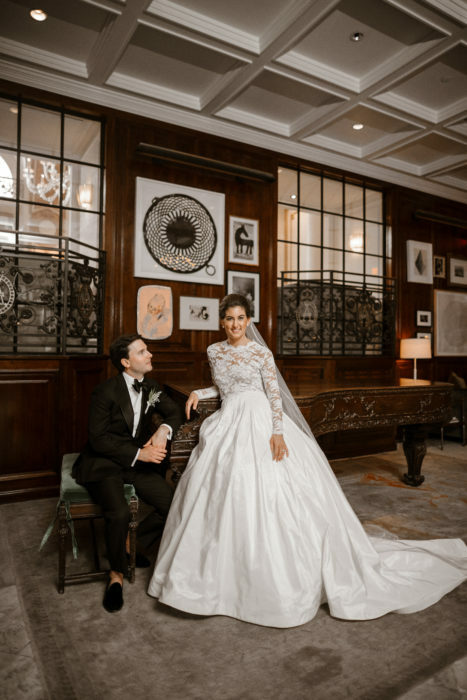 She wanted her wedding to look timeless, and the Adolphus’ interiors perfectly captured that vision. 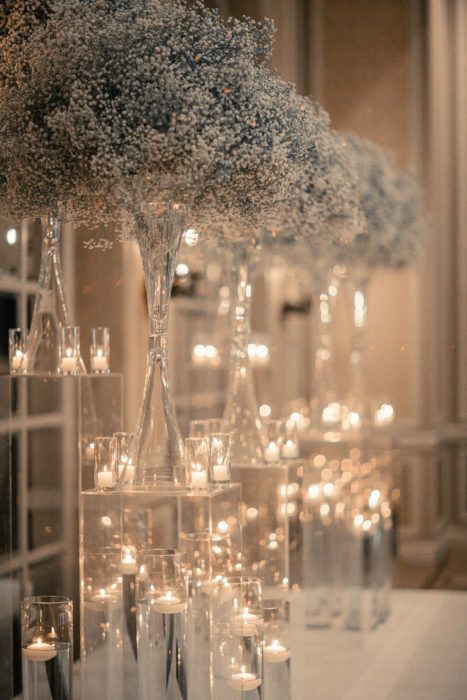 The decor was all white and gold: baby’s breath flower arrangements, candles everywhere, and a white dance floor with a golden “S” in the center. Having been to more than 20 weddings in the past few years, Margaret and Brian decided to handle their bridal party a little differently. 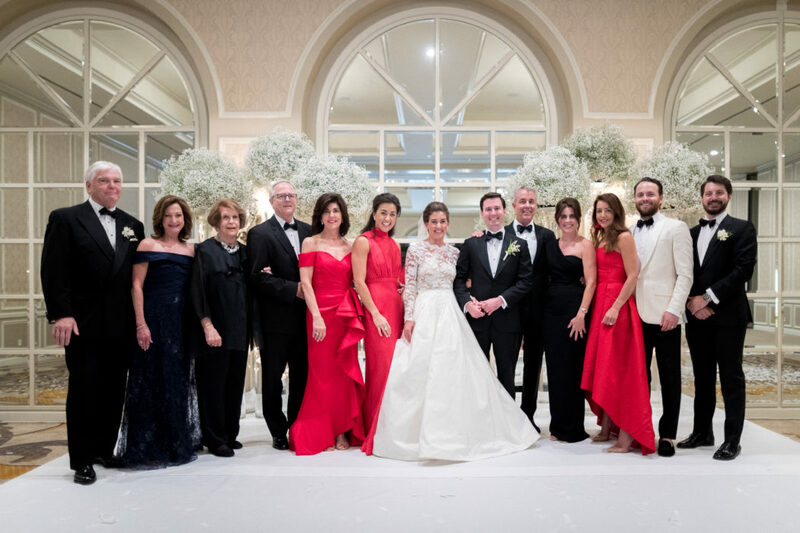 Instead of the traditional line-up of friends, Brian’s best friend, stepfather, and Margaret’s two sisters (who wore red) were the only ones chosen to stand beside them. 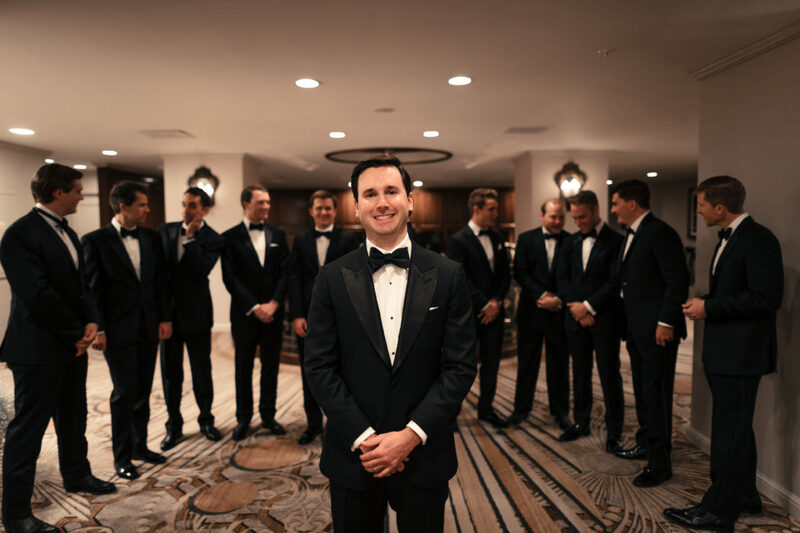 They rented a cabana at the hotel’s rooftop pool for their close friends to enjoy the day of the wedding and served champagne before the ceremony that guests could take in with them. 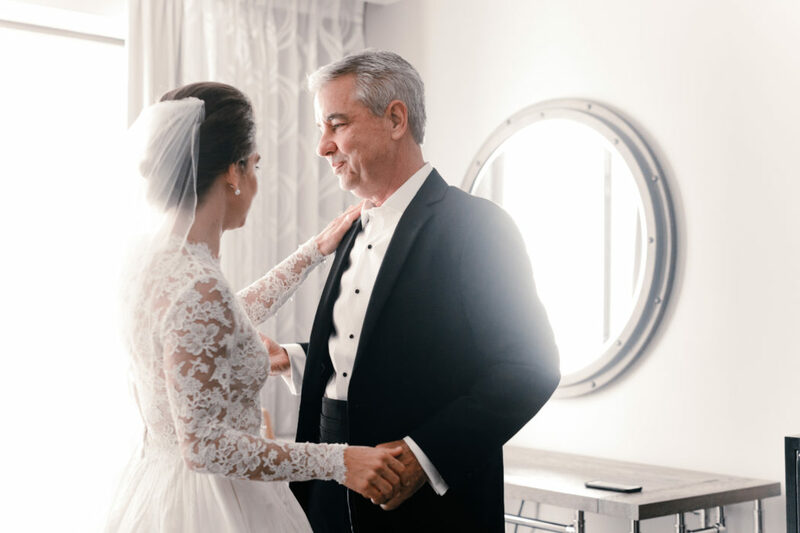 On June 30, 2018, Margaret walked down the aisle to a song her uncle, a professional pianist, wrote for them and Brian’s youth pastor officiated the ceremony. 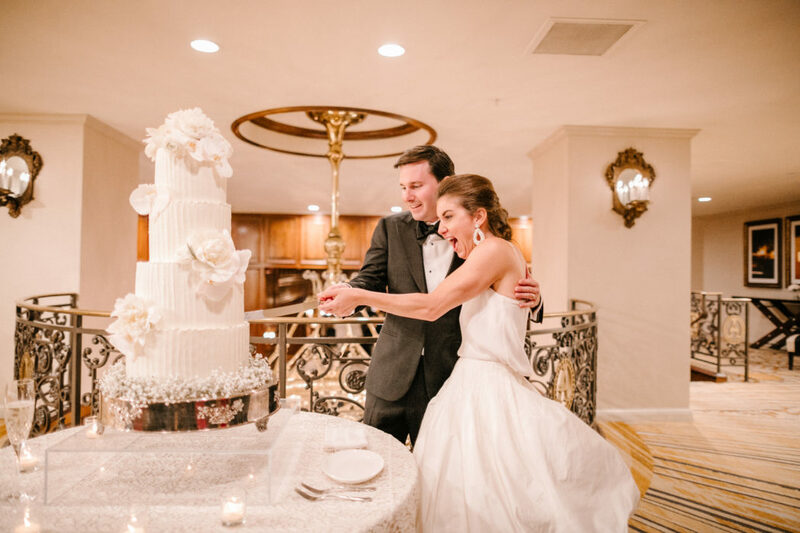 They exited to “Kids in Love” by Kygo, their favorite musician, to get the party started. As they were walking out, they were surprised by white confetti shooting out above them. 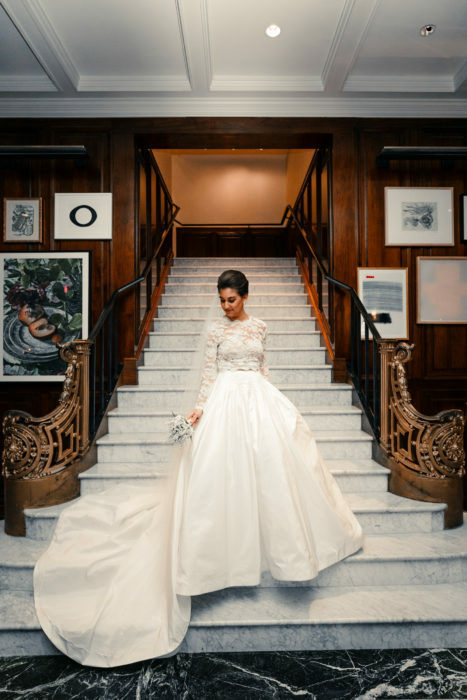 Right down the hall, they kicked off the reception. After the bride and groom had their first dance, everyone ate dinner and then immediately filled the dance floor. Red sunglasses, necklaces, red-white-and-blue flower crowns, and foam sticks with their hashtag, #TheSoneZone, were passed out to guests. 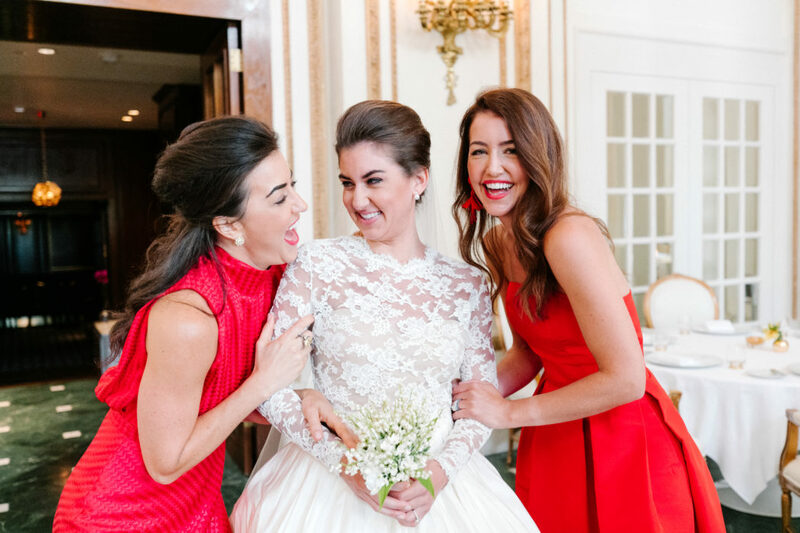 “It looked awesome tying in some more red to the night along with my sisters’ dresses, because it was a few days before July Fourth,” she says. After the dancing ended, everyone wished them off as Margaret and Brian left in a horse and carriage. But the party wasn’t over yet. 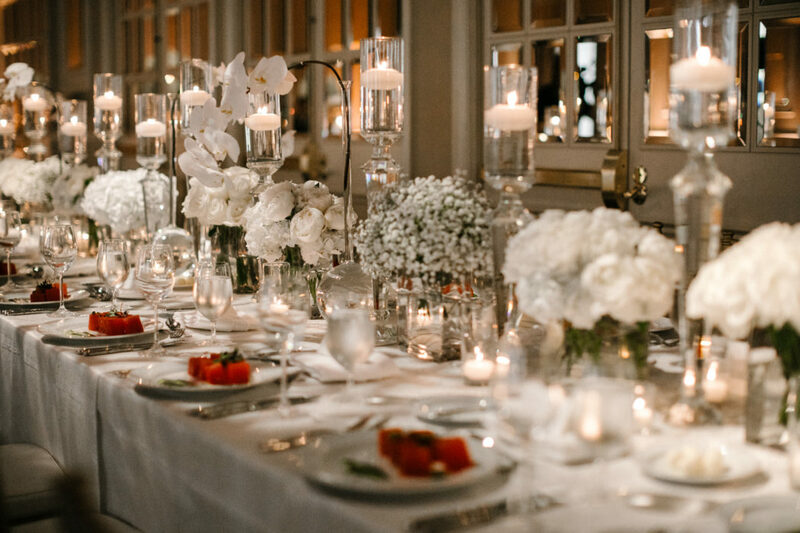 The carriage galloped around the block and dropped them back off for an after party at the Adolphus’s French Room, where a DJ, open bar, late-night snacks, and their friends were waiting. The after party lasted until 2 a.m.